Are you searching for WB Health Recruitment 2018 ? 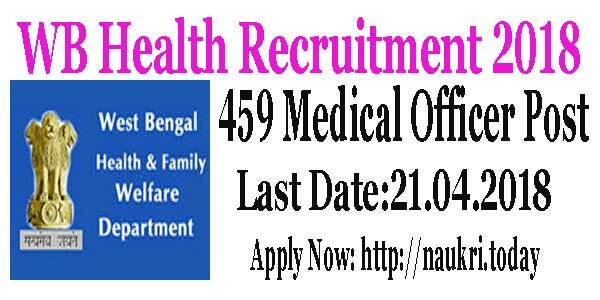 If Yes, West Bengal Health and Family Welfare Department has declared 459 Vacancy for the Post of Medical Officer. Interested Candidates should apply online from 10.04.2018. Applicants must check here eligibility Criteria, Age Limit and Selection Process for WB Health Jobs 2018. Here we provided you Links to download Official Notification of WB Health MO Vacancy 2018. Participants must apply before the last date that is 21.04.2018. As we all know West Bengal Health MO Recruitment 2018 is available for Medical Officer Post. Participants who are seeking foe Government Jobs must apply for WB Heath MO Jobs 2018. Candidates should check details given below for Further more information. Applicants must apply before the last date either from this page or from Official Website of WB Health Recruitment 2018. Candidates can deposit their fee through online/ offline mode. For Further more details applicants must read this article carefully. What Are the Eligibility Criteria For WB Health Recruitment 2017 | Education Qualification for GNM West Bengal DHFWS Jobs ? How to fill Application form for WB Health Recruitment 2017 | West Bengal GNM Jobs ? Participants who are going to apply for WB Health Jobs 2018 must check below category wise Division of Vacancy. It will help you to apply according to Reservation on the basis of Caste. Applicants must check Official Notification of WB Health MO Vacancy 2018. Candidates must fill their Application Forms carefully for WB Health Recruitment 2018 . If any Incomplete or not properly filled Application Forms are found they will be directly cancelled. Participants must consult all the details from Official WB Health Notification 2018. Applicants may also download Advt of WB Health MO Recruitment 2018 from Links given below. Firstly, Applicants who are interested in WB Health Recruitment 2018 must have ability to speck and write in Bengali. Applicants who do not know Bengali Language they are Ineligible for West Bengal Health Recruitment 2018. Candidates should have BHMS/BAMS/BUMS Degree from any recognized University of Government. Participants should completed their compulsory Internship at the time of submission of Application Form. For Further More details Applicants Must check Official WB Health Notification 2018 at official Website or with the help of Links Given below. Participants must not exceeding 40 years for their age who are going to fight Exam for WB Health MO Jobs 2018. Reservation are given according to rule of West Bengal Government. Aspirants must read complete Notification of WB Health Recruitment 2018 from this Page. Here we provided you Links which help you to download Official Notification of West Bengal Health Vacancy 2018. West Bengal Health MO Recruitment 2018 has given you an opportunity to grab good amount of Salary. Pay Scale for WB Health Bharti 2018 is Rs. 25000 /- Per Month. Before applying for WB Health Vacancy 2018 applicants must read this article carefully, Here we also explain you about Selection Process of WB Health Medical Officer Recruitment 2018. Participants should download WB Health MO Vacancy 2018 Notification from this page. Eligible Candidates will be shorted listed on the basis of score of Academic starting from the Secondary onward. After that shortlisted applicants will be called for Original Testimonial Verification . Participants may also face Bengal Language Test. After clearing both the test candidates will be shortlisted for Merit List. Participants who applied for WB Health Recruitment 2018 must carry good marks in their Secondary Degree. Candidates should prepare themselves Strongly for Testimonial Part. 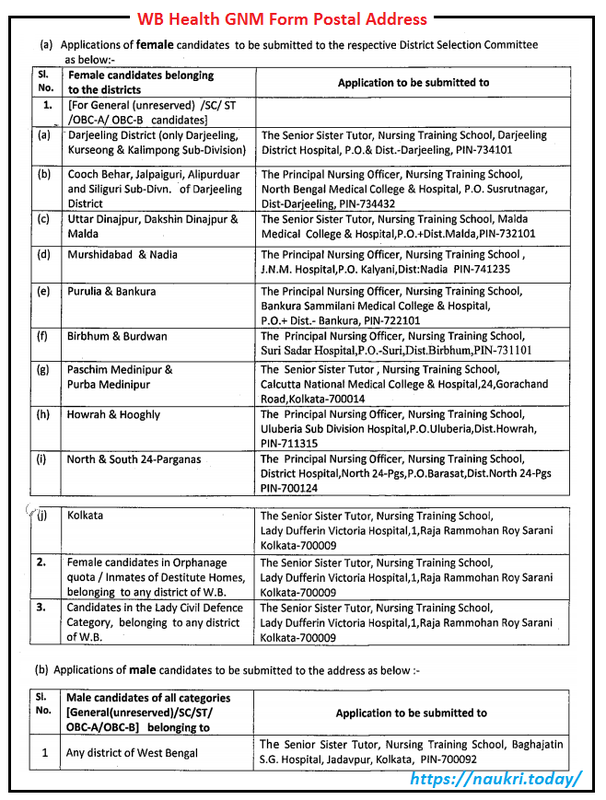 Applicants should check official Notification Of WB Health MO Jobs 2018 for Furthermore details. Participants who belongs to General Category should Pay Rs. 200 /- as Application Fee for WB Health Recruitment 2018. 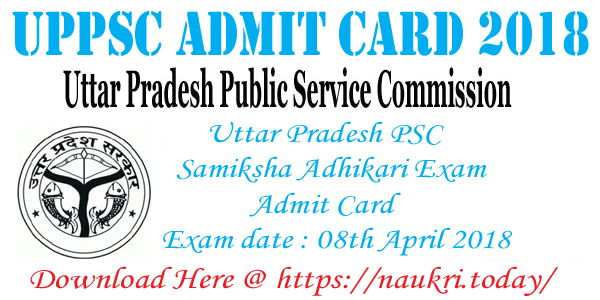 Candidates who came in ST/SC/OBC/PWD Category they should pay Rs. 100 /- as Application Fee. The Amount which we pay as an Application Fee is no refundable in any condition. For Furthermore details aspirants must consult to official Notification of WB Health Vacancy 2018. Here we also provided you easy steps which help you to fill up Application Form easily. Candidates should apply Online for WB Health Recruitment 2018. Participants can Deposit their Fee through Online/ Off-line Mode for West Bengal Health MO Recruitment 2018. Applicants should follow these steps to Filling Up Application Form for WB Health Medical Officer Vacancy 2018. Firstly, Aspirants must log on to Official Website of West Bengal Health Bharti 2018 i.e. wbhealth.gov.in. Secondly, Applicants may search for Recruitment Section at Home Page. After that candidates should read full Notification Carefully. Then aspirants should check Eligibility Criteria and Much More information. Eligible candidates must apply for WB Health Jobs 2018 before last date. Applicants should deposit their application Fee. After deposition of Application Fee candidates can submit their Forms. Applicant should note down Password and Registration Number for Feature Use. Conclusion : West Bengal Health and Family Welfare Department has issued 459 Medical Officer Vacancy. Participants who are seeking for Government job must apply for WB Health Recruitment 2018 before last Date 21.04.2018. Candidates can fill Up their Application form from 01.04.2018. Aspirants should check details such as Eligibility Criteria and other details given in this article. Dear Applicant, West Bengal Department of Health and Family Welfare has issued a Notification for WB Health Recruitment 2017.There are 2175 General Nursing and Midwifery (GNM) Vacancy.This is the good opportunity for the candidate who are waiting jobs in West Bengal State. Candidate can read full details of eligibility criteria before applying for West Bengal GNM Jobs. Interested & Eligible candidate can apply WB DHFW application form before the last date 12.05.2017. About DHFW West Bengal : WBDHFW is known as West Bengal Department of Health and Family Welfare. Candidate who can read, write and speak in Bengali and Nepali can apply for West Bengal Health Dept GNM Jobs 2017. Applicant are invited for admission to 3 years GNM Training Course including 6 month internship in Nursing Training School. Candidate can also check eligibility criteria Like age limit, procedure for selection, examination fee and other important requirements are stated below. Notification Date of GNM Nursing Application form : 18.04.2017. Last Date for Submitting of WBDHFW Application Form : 12.05.2017. Required Education Qualification for WB General Nursing and Midwifery Vacancy : For West Bengal Health Dept GNM Jobs, Candidate must have passed High Secondary Examination or pass equivalent exam from recognized Board. Age Limit for WB Health Vacancy | Age Criteria for WB Health GNM Jobs 2017 : Applicant going to apply for WBDHFW Jobs 2017 must fulfill age criteria. Minimum age of the candidates should be 17 years and Maximum age is 27 Years as on 01.01.2017 for WB Hedlth GNM Recruitment 2017. Age relaxation is applicable as per Department rules & regulation.. Application Fee for WB Health Recruitment 2017 : There is no application fee for West Bengal DHFW General Nursing and Midwifery Jobs. Pay Scale for WBDHFW Vacancy | WB Health Jobs 2017 : Candidate selected for WB Health GNM will Paid pay band as per Organization norms. Check Official Notification for detail information of WB Health Vacancy pay Scale. Selection Process For West Bengal Health dept GNM Jobs | Selection Criteria For WB Health Vacancy 2017 : Selection of candidate for WBDHFW Recruitment 2017 will be made on the basis of total marks Obtained in Compulsory Subjects (10+2). Best three subject in which we have good marks will be selected from 10 +2 examination. Out of Which one Compulsory subject is English. Selection of Subject to Verification of Marks from H.S Council. Selected candidate will be called for Medical Check up. Eligible and Interested candidate can check Eligibility details like education qualification , age Limit and Selection Procedure for DHFW West Bengal Jobs from above. Last date to apply application form for GNM Vacancy is 12.05.2017. Below Steps will help you in filling WB Health GNM Jobs Application form. Candidate log on Official website www.wbhealth.gov.in. Now Click on Notice Section –> then click on Notification ”Receiving the application for admission to 3 year GNM Training Course”. Read WB Health Recruitment 2017 notification carefully and eligibility details for GNM Jobs. If Applicant is eligible the download WBDHFW Application Form. Fill in all the details Correctly and carefully. Affix Passport Size Photo and Signature on GNM Application form. Attach require document for the General Nursing and Midwifery Jobs. Send Your Application form through Speed Post/Register Post/ Courier on the Address and application should reach on given address before schedule date 12.05.2017. Take Print out of DHFW West Bengal Application form for future use. Now send the application on correct postal address which is mention in below details. Click on the below link for Postal address. WB Health Recruitment 2017 For 2175 General Nursing & Midwife (GNM) Jobs. Candidates can apply application form for WBDHFW Recruitment 2017 on or before the last date 12.05.2017. Merit list was published.For details information you should check notice board of N.T.S where you applied your from. Sir, when will be publish Gnm merit list?? When the merit list will be published? Sir, gnm nursing merit list kaba web site Chara haba janaban. Merit list will be published in websites? When will be published Gnm merit list? And how can I know my result? Is it published in website? Which month & date gnm nursing merit list 2017 will published???? Which Month and date gnm Nursing merit list 2017 will publish..? I am a student of HS 2017. I want to apply gnm 2017 course. But our result Will be published on 16.05.17 . Please extend the last date of gnm application. Hello…can i fillup the form on online??? I am also a student of higher secondary 2017.I also want to apply for course but it is not possible to send my form before last date as results of H.S will come after 12.05.17 .Sir,I would be very thankful to you if you changed the date of submission..plzzzz Sir . Sir … I am the student of higher secondary 2016-17 in arts field. . The last date of GNM applications submission is 12 may .. Our hs exam result will publish 16 th may . …SIR , How can we attach Our hs result ….. sir pls extend the last date of applications submission ….